A must-have for TODDLERS and PRESCHOOLERS! 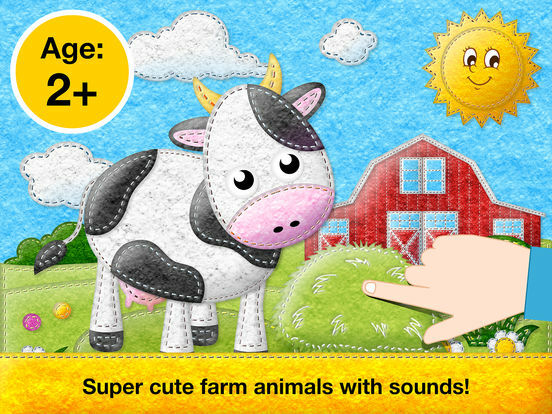 Learn and play with cute animated farm animals in 14 fun-packed EDUCATIONAL GAMES. 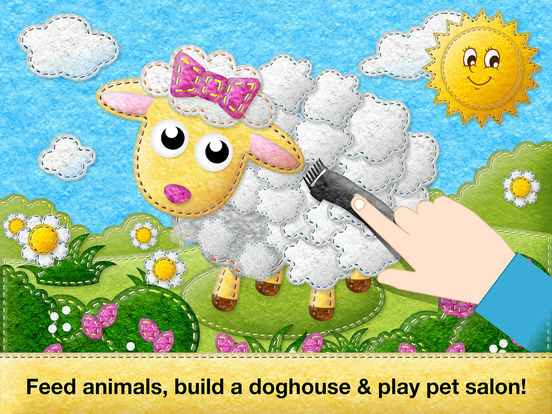 Your children are sure to love this fun farm adventure. 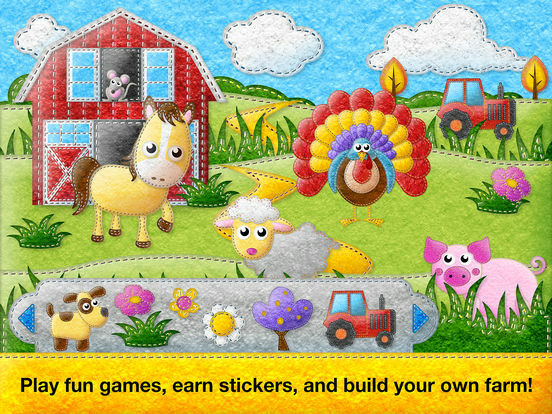 Build a doghouse, sort food, hatch eggs, feed a horse, shear a sheep, wash a pig, create your own sticker farm, and much more. My Felt Farm is a wonderful mixture of education and fun. 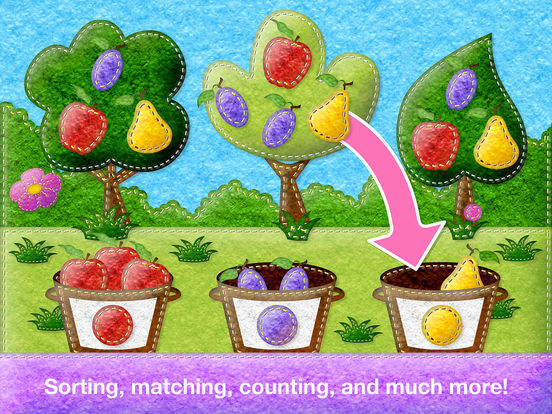 A great way to spark children’s love of learning and foster their curiosity about the natural world! - Cat: The cat’s toys broke into pieces. Can you put them together? - Dog: The dog feels cold at night. Build a doghouse for it. 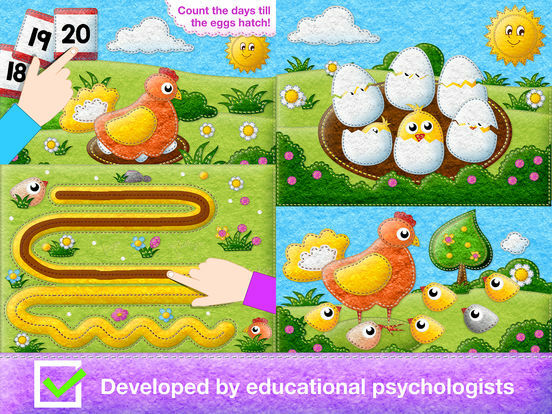 - Hen: Help the hen take care of its eggs and newly hatched chicks. - Cow: Feed the cow and make a milkshake out of its milk. - Horse: Load hay onto a trail and feed the horse with it. - Pig: The pig loves to wallow in mud. Can you wash the pig? - Goat: The goat is a very picky eater. It loves its food to be sorted. Can you sort it? - Duck: The duck adores swimming. But its pond dried out. Can you refill it with water? - Turkey: The turkey wants to be colorful. Can you color its feathers? - Sheep: It’s time to shear the sheep. Grab the shearing machine and give the sheep a new cut. - Donkey: This donkey loves grooming. Brush its hair or decorate it with little bows and flowers. We hope our app will enable you to spend quality time with your children. Have fun playing!